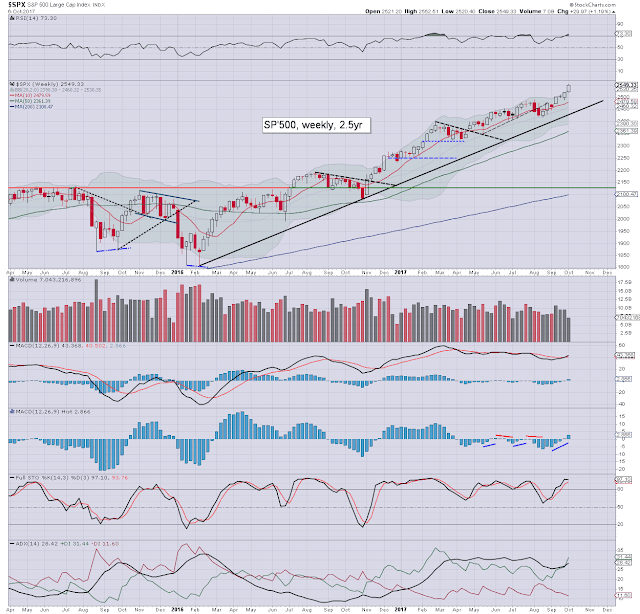 US equity indexes closed fractionally weak, sp -2pts at 2549. The two leaders - Trans/R2K, settled lower by -0.2% and -0.1% respectively. 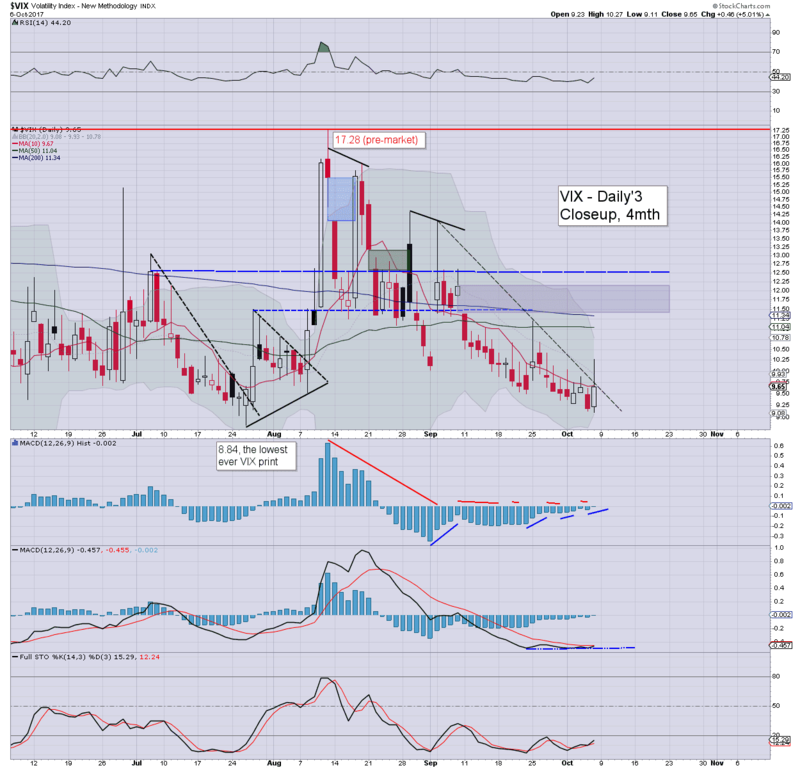 VIX settled +5.0% at 9.65. 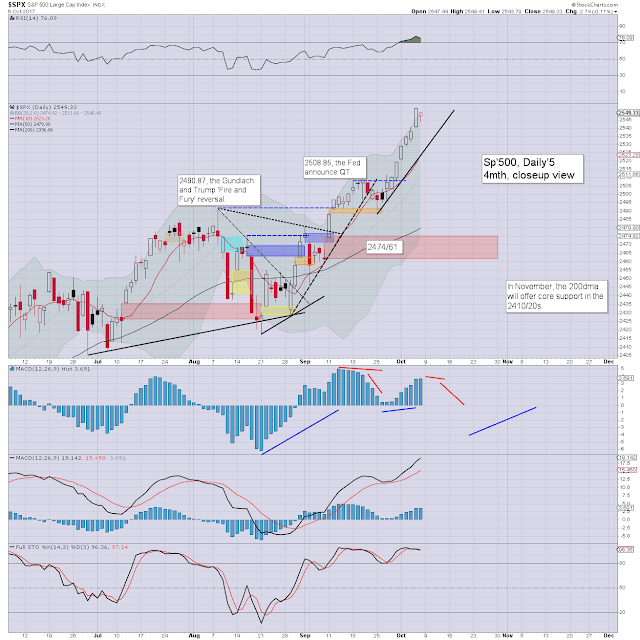 Near term outlook offers the sp'2471/61 gap zone, but for now, there is virtually zero sign of the market beginning such a move. US equities opened a little weak, and then settled into micro chop mode. With an equity low of sp'2543, the VIX saw an intra high of 10.27, but then cooled into the weekend, unable to hold the 10s. To be clear, recent price action has been the strongest algo-bot upward melt that we've seen in 3-4 years. It sure doesn't bode well to those equity bears seeking a correction of more than 3-4% within the next few weeks. The recent upward breaks in the Transports and R2K give confidence to the more bullish outlook into 2018. For now, there is simply zero reason to expect any sustained price action <sp'2460, as the 2600s seem a given before year end. Today's close of sp'2549 made for the fourth consecutive net weekly gain, and the sixth weekly gain of the past seven, since the key low of 2417. Murky end to the week, with the London crane index remaining high! 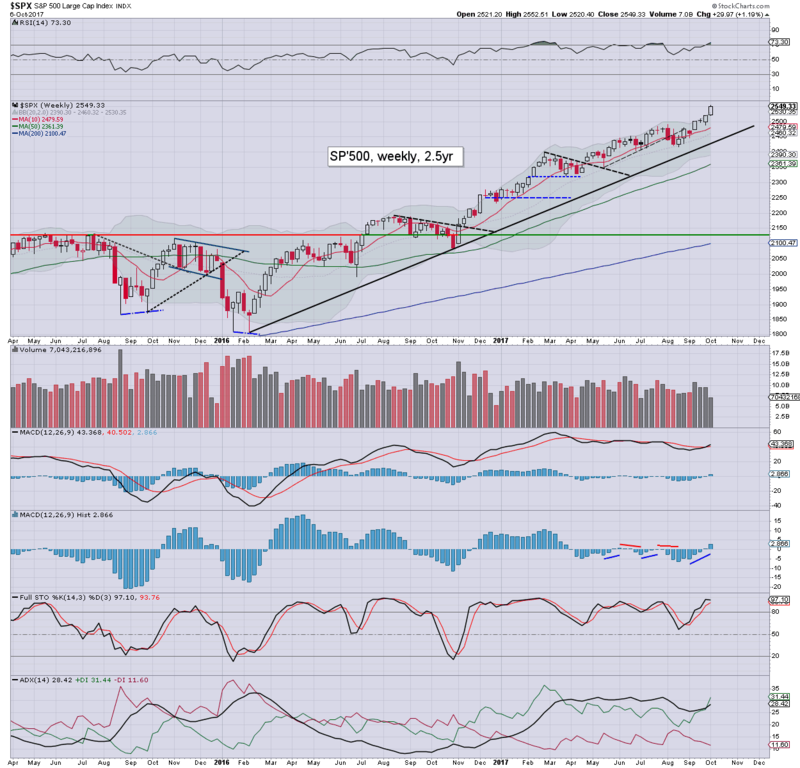 *the weekend post will appear Sat'12pm, and will detail the US monthly indexes.